Kristen Lee Sergeant’s new album, Smolder, showcases her skillful use of lyrics that commands the listener to not only hear her but also see her through the speaker. Join Kristen and Lorens as they talk about Cole Poter, Manchester by the Sea, and other subtly related topics (Song credit: I’m Beginning to See the Light, Balm/Burn, It’s Alright with Me, by Kristen Lee Sergeant). 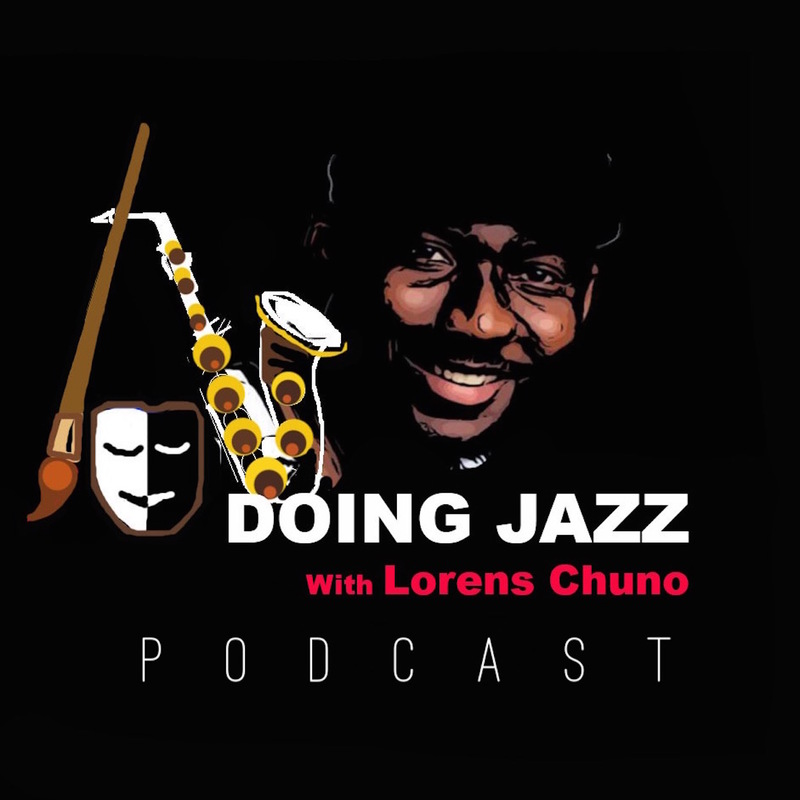 On this podcast, Lorens Chuno presents captivating conversations with enterprising jazz musicians. These conversations are free-form in nature and casually explore the work life of these artists; but don't be surprised to hear their 'starting out' stories, their opinions on current issues, and maybe one or two pieces of advice for people interested in their chosen art field. Come here every week for a new episode of the podcast, and find out how these inspiring jazz practitioners DO JAZZ. Prior to August 30th, 2017, "Doing Jazz" was known as "Doing Art". Kristen Lee Sergeant is a jazz vocalist and composer of effervescent energy, musical intensity and dramatic flair. She is among the few jazz musicians who commits to telling a story in her music and performance style, while sparking spontaneous sonic conversation with her fellow musicians. Such commitment, and its results, captivate her audiences, whether in live performance or listening to her recordings. Her debut record, Inside Out, came out in 2016 to much enthusiasm, and most critics (including Down Beat, who made it a critic’s pick) were sure to make mention of her dramatic delivery — she doesn’t just perform a song, she lives it — and her listeners do as well. Smolder, her newest release, is an arrival of Kristen as a songwriter, arranger and a creative improviser. Incorporating cello, alto flute and percussion, the album expresses the feelings of fire from extinguished to blazing in an intensely personal and dynamic way. The band, comprised of some of the best musicians in jazz (Ted Nash, Cameron Brown, Jeb Patton, Jody Redhage Ferber, Jay Sawyer, Rogerio Boccato), surrounds her with intensity and personality, a testament to Kristen’s vision and the creativity it inspires. Her journey illuminates her style. Growing up in Manchester-by-the-Sea, Massachusetts, she devoted herself to theater, and worked professionally through school, graduating from Brandeis University with a degree in music. “I left my high school graduation early, with a costume underneath my robe, for an evening show. Same in college: couldn’t celebrate since there was a matinee that day!” Kristen recalls. She left Brandeis having received the Ira Gershwin Prize in Music. Although classical vocal training interested her in pursuing opera as well as musical theater, jazz is what won her heart when she moved to New York City. “The intimacy of performance in smaller venues, and the nature of improvised music opened up entirely new possibilities for me as a musician and performer. It wasn’t really a choice; I was captured by the music.” Kristen recollects, citing Marilyn Maye and Carmen McRae as inspirations, then and today. She began singing with a big band, worked with small combos in cigar bars, hookah lounges, nursing homes, “wherever I could”, she adds. Coupled with intensive study with singer/composer Tom Lellis, she evolved her vocal style and musicianship in a totally new direction, taking the best of what stage training offered and crafting her approach to jazz with intensive work. She won the Jazz Forum Arts vocal competition in 2014, and in addition to enthusiastic acclaim for her first album, Kristen also performed at Birdland, Iridium, Zinc Bar, the Metropolitan Museum of Art, Joe’s Pub and more. A singer with a side hustle is no anomaly, but a singer who is also a certified sommelier, serving on the floor of NYC’s top restaurants, while forging her career onstage, is quite unique. While debuting her first record at Birdland, she was a sommelier at Gotham Bar & Grill; while finishing her second record, Smolder, she brought her wine expertise to The Grill (the New York Times’ restaurant of the year in 2017). In 2018, Kristen began her video series, Jazz & Juice, featuring wine education and discussion with top jazz musicians (over a glass or two, naturally). Her passion for wine and song is leading to exciting places, as her international career begins, and Smolder’s spark begins to blaze. Certainly, there will be much to toast to as time goes on.